Perfect hair colour is intense, rich and radiant. But coloured hair can become dull, dry and lifeless if left unprotected. 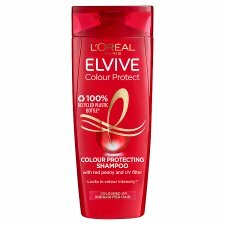 Whether you're a blonde-turned-brunette, a pastel lilac or a fiery red-head, Elvive Colour Protect by L'Oréal Paris is specifically tailored for coloured hair. 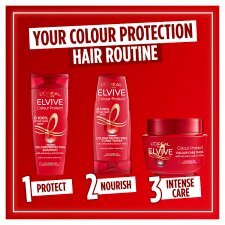 Colour Protect has a luxurious formula, enriched with Linseed Oil and UVA/UVB filters. It deeply nourishes coloured hair for intense softness, smoothness and improved light reflection. 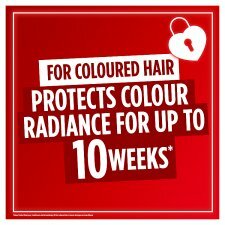 It helps protect colour radiance for up to 10 weeks*.